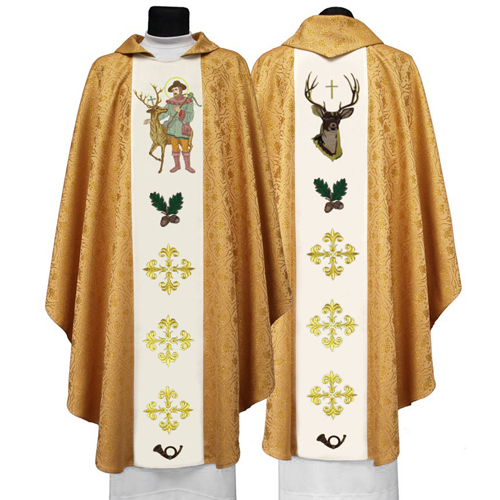 Set include: Roman dalmatic and matching deacon stole. 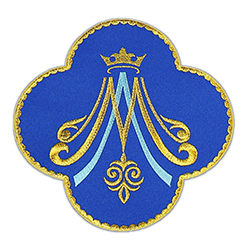 Precisely made of damask fabric. 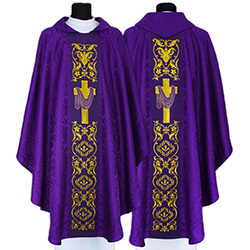 Decorated of high quality orphrey made of golden thread. 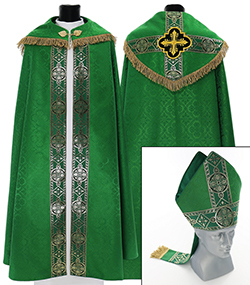 The main fabric and lining are matching color. 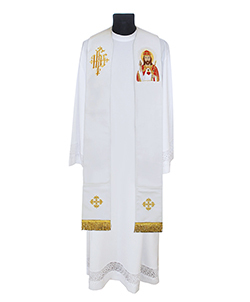 Thank you for the lovely chasuble. I m very pleased with the embroidery. 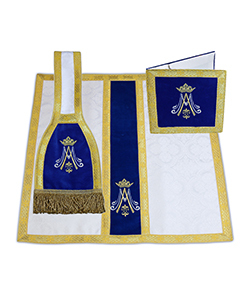 Truly one of the most elegant chasubles in Ackermanns line of products. 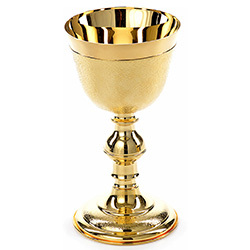 Elegant and rich looking, perfect for liturgical celebrations. Purchased in cream. Questions been answered promptly. Fast shipping. Item as described. Great value.